Stephanie Ellis holds a Bachelor’s degree in English Literature from Oglethorpe University as well as a Master’s of Education from Loyola College in Baltimore. She trained at the AMI Washington Montessori Institute in Columbia, Maryland. She explores the world through books, movies, seminars, and further collegiate study. Her two children (Rowan, age 9 and Pierce, age 2) keep her active as well. The family enjoys animals and nature. 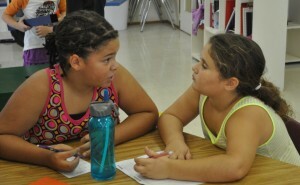 Third and first year students work together to explore fraction work. Mixed ages in the Montessori classroom enrich the opportunity to learn from older children—both academically and socially. Growing up can be a challenge. For many children, that may in-clude name calling or teasing. But as a Montessori teacher, I know there is another way. The period from approximately age six to twelve (or what Dr. Montessori referred to as the “second plane of development”) is a time when children are keenly interested in fairness and justice, and actively seek direction on what is right or wrong, acceptable or not. Because Dr. Montessori observed this social component in the elementary child, she emphasized the importance of pre-paring the elementary classroom environment so it supported the child’s social development. The elementary Montessori child is in the same class with his peers for six years. This allows children the opportunity to know one another well, and frees their emotions and intel-lect to do the work of learning the full, exciting and enormous curriculum of cosmic education. Again, children (here, first and fourth year students) benefit from the class’s multi-age dynamic. The older, naturally more experienced, children are important role models for the younger ones. 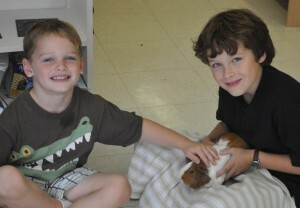 Care of others, in this case for the classroom guinea pig, is an important way of learning compassion for others. The elementary Montessori classroom is set up as a community for a number of reasons. During their tenure in the class, second plane children develop from novices to leaders. They learn to be responsible for their learning, their classmates, and the community at large. In a Montessori environment, where children are able to speak with one an-other regularly, work in pairs (or small groups or as the whole class), they experience a microcosm of society. This social aspect of the classroom also allows for the children to converse with one another regularly—about both their work and social issues. They have the freedom to address one another as issues come up. This is necessary for them to explore their place in the small society of the classroom as they wonder about their future role in society at large. As adults we might be surprised by a child “telling on” another, or testing a friend. (At about age eight, girls in particular can at times be a bit catty with one another.) While we certainly don’t con-done this, experiences where a child is testing what is acceptable can be expected of those learning right from wrong. Feelings get hurt and personalities bump against one another. This is where the adults in the child’s life can be helpful by giving direction, supporting the child with social tools, and sharing stories of tolerance and the need for differences. We show them ways they can communicate with others, listen to their concerns, cheer them on, help them learn these im-portant social lessons and model appropriate ways to interact. Gradually, children learn what is acceptable, how to say something that doesn’t offend another, how to help another in need, how to say something in a more loving way—in short, how to cherish others and their differences. 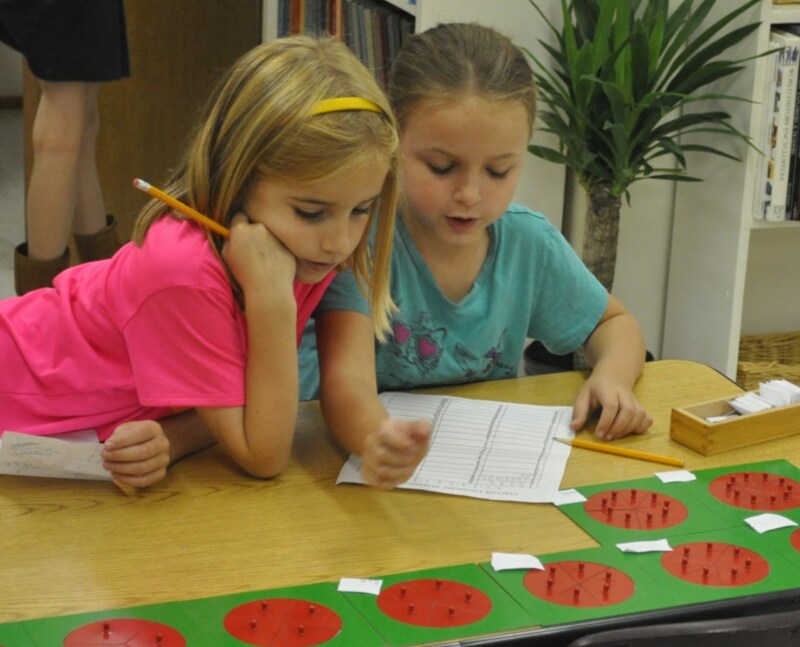 The Montessori elementary child learns to navigate these sometimes uncomfortable social situations by trial and error in the supportive, small community of their interactive class. Just as they might explore and learn about an academic part of the curriculum, the elementary child learns to navigate his social waters. Children taking turns reading to one another. As someone who can see these changes the second plane child goes through from both a Montessori perspective and that of a parent, I am grateful to Dr. Montessori for identifying what our children need during this important social time in their development. I am grateful my child and the other elementary children in her class have the support of the pre-pared environment in a mixed-age class, of a Montessori teacher who is trained in human development, and of the class-mates who know how to help. While social struggles are as inherent in the elementary child’s growing up as bruises and scratches, the Montessori Method and the opportunity it offers for children to interact with one another within the supportive classroom environment helps the child construct his social self.